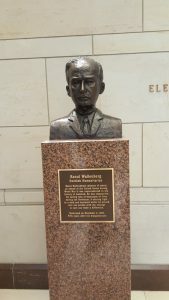 This is a picture of Raoul Wallenberg of which was taken at Washington D.C. Wallenberg was responsible for saving thousands of lives during the Holocaust. He was described as a shining light in a dark and depraved world, and proved that a single person with courage to care can make a difference in the world. He was born on August 4th, 1912 and went missing never to be found again on January 17, 1945 when detained by German forces suspected of espionage. His career path included that of an architect, businessman, diplomat, and humanitarian. He saved many Jewish people by issuing them protective passports and providing them with shelters. In Honor of his memories a “Raoul Wallenberg Committee of the United States” was create in 1981 to promote the humanitarian ideals and the nonviolent courage of Wallenberg. He was praised as a wartime hero. In October 2016, nearly 71 years pursuant to his disappearance, he was finally declared dead by the Swedish Tax Agency. Interestingly, in his youth Wallenberg although his parents were rich preferred to travel on his own and take on odd side jobs. He is said to have written to his grandfather that “when you travel like a hobo, everything’s different. You have to be on the alert the whole time. You’re in close contact with new people every day. Hitchhiking gives you training in diplomacy and tact.” I find this interesting because there is much truth to it. By travelling like an ordinary person, you become more exposed to others and notice things that you would have otherwise not have been able to. 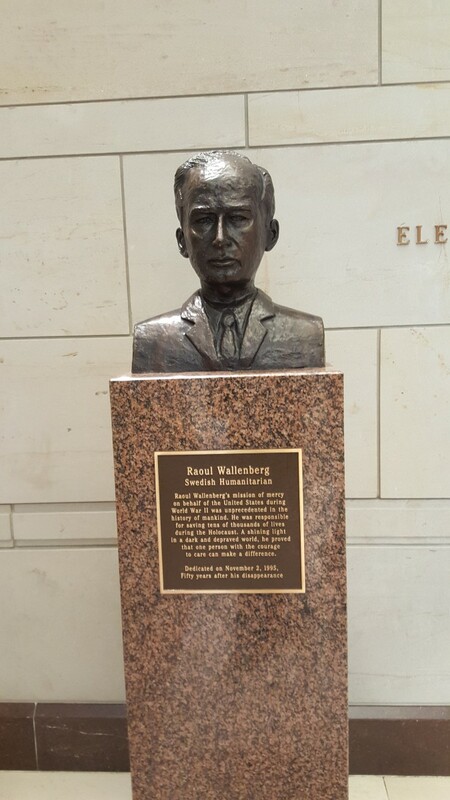 Raoul Wallenberg was quite the interesting fellow. He grew up filled with intrigues and did not want to use his parent’s money. He was quite self-independent. Furthermore, he went on to become a war time hero who aided thousands of Jewish people in their desperate time of need. Wallenberg was quite extraordinary as far as I can tell and deserved to be commemorated for the achievements that he has made in little time on earth. However, I am left with the big question of what has happened to him after his disappearance and why it took someone 75 years to be presumed dead after his disappearance. Citation: Raoul Wallenberg and the Rescue of Jews in Budapest, United States Holocaust Memorial Museum, https://www.ushmm.org/wlc/en/article.php?ModuleId=10005211 (last visited May 24, 2017). This entry was posted in Uncategorized on May 24, 2017 by Mahendra Francis.